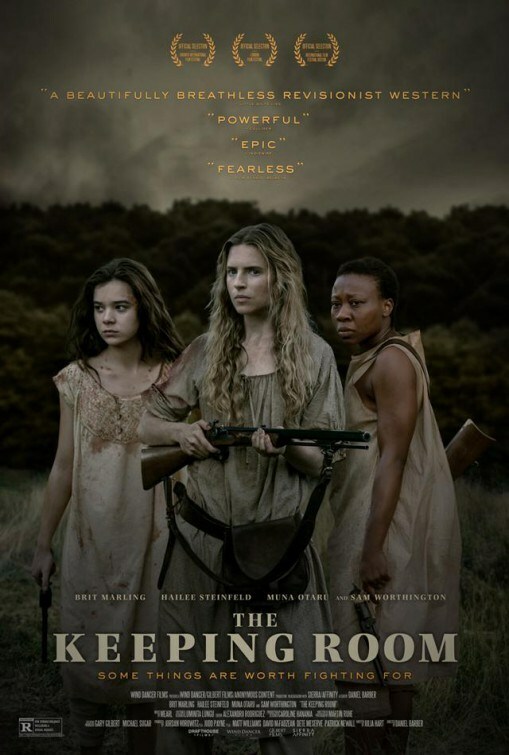 The Keeping Room is, to put it bluntly, a movie about women trying to get by in an environment plagued by predatory males. It does what it does to deliver its point, as in, it sets itself during the American civil war and tells the story of three southerner women (two white, one black) as they try to survive in an environment now deprived of all its men (because the latter went to wage war). They get along, more or less. That is, until the men from the north start making their way towards their area as they are winning the war. When push comes to shove, racial lines blur and the black woman almost becomes an equal. But gender lines do not blur, and the only way our women can make it out alive is if they turn into men. Overall: Not the best drama ever, but it certainly delivers on its core point. 3 out of 5 crabs.